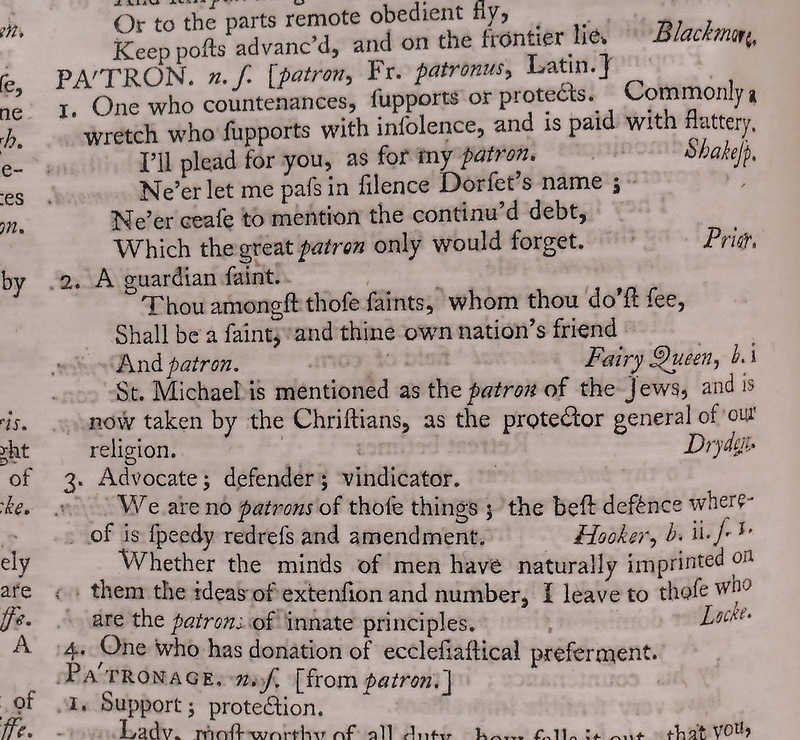 Samuel Johnson's Dictionary of the English Language (London: W. Strahan, 1755) is an authorial tour de force. That one person could possibly assemble a dictionary basically on his own of such a scope is astonishing. The two densely packed volumes took nine years of his life to write. 1. One who countenances, supports or protects. Commonly a wretch who supports with insolence, and is paid with flattery. Johnson buried a few other precious barbs in his text. He defines oats as "a grain, which in England is generally given to horses, but in Scotland supports the people." 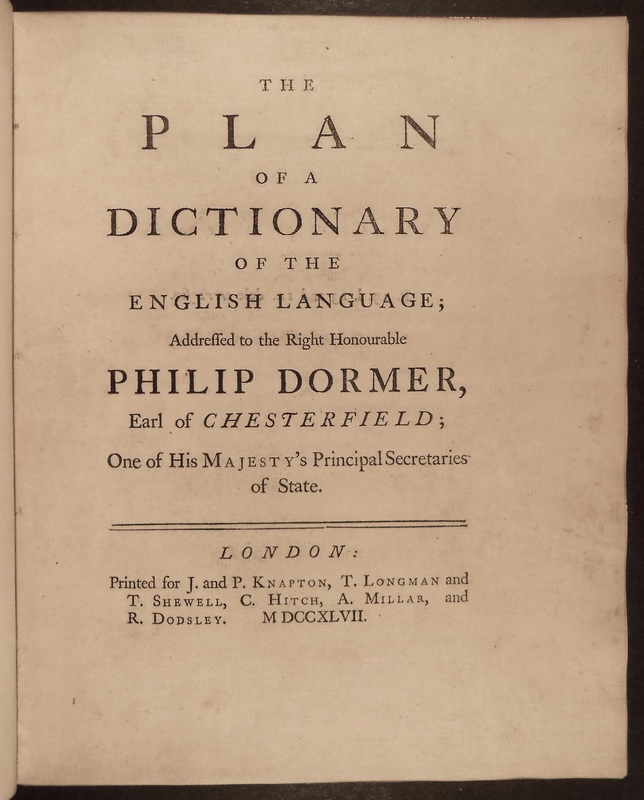 To see the Dictionary, ask for Rare PE1620.J6 1755. To see the Plan, ask for Val 825 J63 P69.